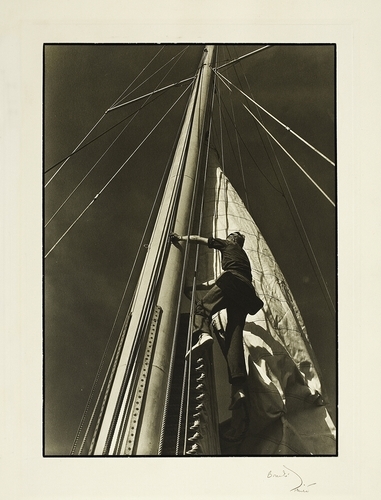 With Bourke-White's signature, in pencil, on mount recto and her hand stamp on mount verso. Depicted is the 'Endeavor' at the International Yacht Races in Newport, Rhode Island. This photograph was included in a lot sold at the Swann Galleries auction "Important 19th & 20th Century Photographs" (New York, Mon Oct 15, 2007).